Moonstone and Sterling silver ethnic earrings. 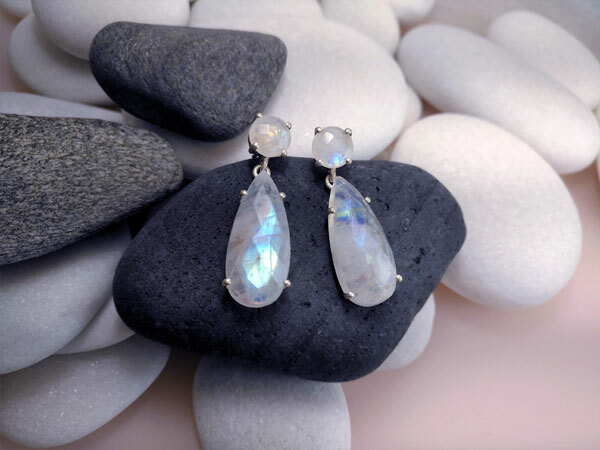 Sterling silver earrings with faceted Moonstone gemstones of high purity and blue refraction from Sri Lanka. They measure 1.4" high and 0.5" wide.